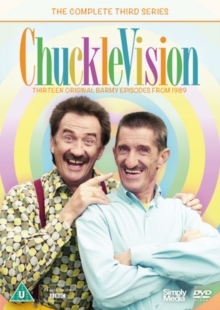 The complete third series of the children's TV show following brothers Barry and Paul Chuckle as they undertake various jobs with comical results. The episodes are: 'Stand and Deliver', 'Parks and Wreck-Reactions', 'Stop That World...! ', 'Home Helpless', 'Shipshape Less', 'Window Wind-Ups', 'Trouble in Store', 'Poster Pranks', 'On the Move', 'Car Carnage', 'Hotel Hostilities', 'Cabbies and Chips' and 'Cycle Crazy'.